Are you tired of feeling anxious, depressed, or stressed? Do you want to find more fulfillment in your work, relationships and in life? Do you live with a certain sense of regret, but know there must be a way to get what you want? I have been working with clients on a full time basis for over 15 years to find answers, solutions and more constructive ways to live. Make a Change for the Better, Today! Welcome to Ardent; we are dedicated to you. Our therapists utilize a direct and holistic approach to: individual, couples, family, marriage, adolescent/child counseling and life coaching. Our goal is to find the best therapist and environment for your needs, then tailor our approach to help you gain a deeper understanding into your life. We all seek connection. ......helping women like you feel better. Marilyn's expertise in "sandwich generation" and eldercare issues allows her to help individuals, couples, and families cope with stress, boundary setting, life planning,and grief. Her clients appreciate her warmth, sense of humor, accepting attitude, and creativity. Marilyn helps individuals deal with issues of communication, depression, anxiety, and loss. 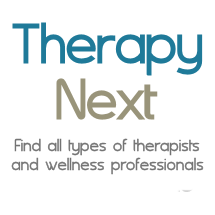 Robin M. Smith, LCSW, Ltd.
Dr. Newman is a seasoned therapist who uses an eclectic approach to treatment, making use of a variety of psychotherapy orientations including psychodynamic, cognitive behavioral therapy, and EMDR. He has a special interest in the treatment of psychological trauma and maintains an active private practice in downtown Chicago.